Frank Chimero is a graphic designer, illustrator, teacher, maker, & writer in Portland, Oregon. 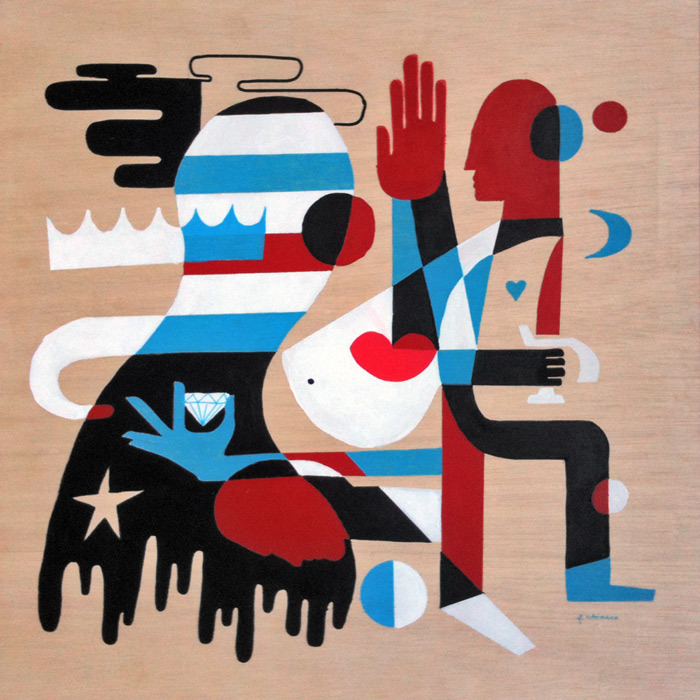 Chimero’s fascination with the creative process, curios- ity, and visual experience informs all of his work. Each piece is the part of an exploration in nding wit, surprise, honesty and joy in the world around us. “If Someone Asks This is Where I’ll Be” is an investiga- tion into lots of little things over one big thing. Chimero will present new paintings, papercuts, mobiles, and book art about jumping in, diving deep, and staying shallow in his smart, wry, kinetic aesthetic that matches words with images to create new ideas.